We match the professional skills of the local business community with the back office needs of our nonprofits. Our consulting services are short-term, customized to our nonprofits’ needs, and free thanks to the business men and women who volunteer their talents so graciously. Executive Roundtables provide a venue for our nonprofit executive directors, CFOs, and board chairs in Lawrence and Haverhill to network and learn from one another. Its overall purpose is to cultivate a strong network of nonprofit organizations that work collaboratively for the greater good of our community. These sessions typically meet quarterly. The Cultural Inclusion Program recruits, trains, places, and engages new board members who are local professionals and reflect the culture of the community. The program emphasizes creating boards that are inclusive so that all have a voice at the table. We believe that diversity is more than a checkbox. We work with individual nonprofits to help their boards operate effectively and efficiently in their governance roles. Our services include customized board training, Board Roles to Board Goals, strategic planning, board retreats, and individual coaching for Executive Directors and Board Chairs. The Grant Resource Center is a collaboration between Northern Essex Community College and Community InRoads to help our nonprofits identify appropriate sources of funding. 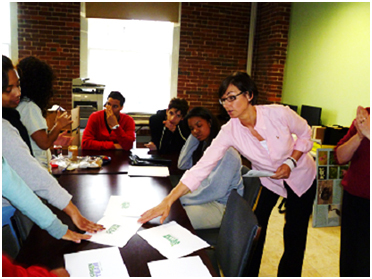 Through a partnership with Lawyers Clearinghouse and Merrimack Valley business professionals, Community InRoads provides free, quality workshops on important topics regarding nonprofit management.